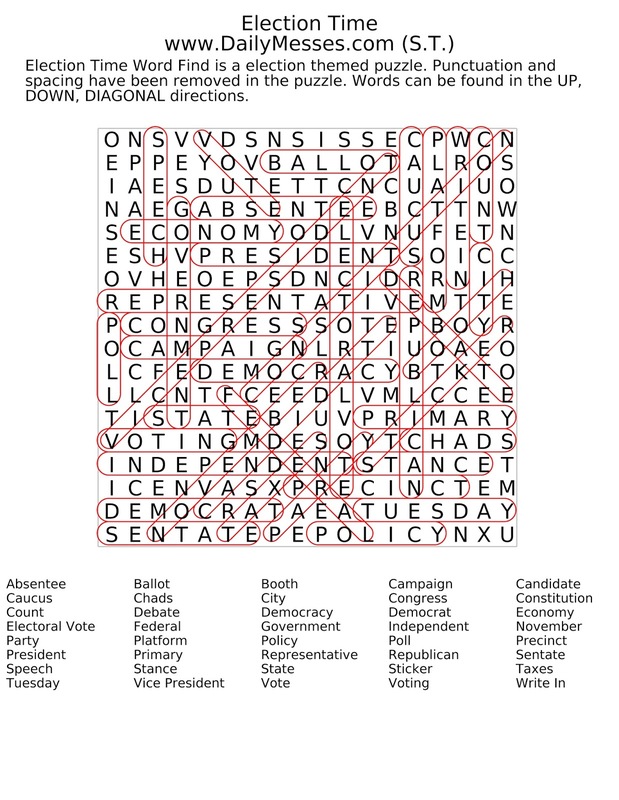 With all the political stuff going on, I thought I would create a new Word Find/Word Search. 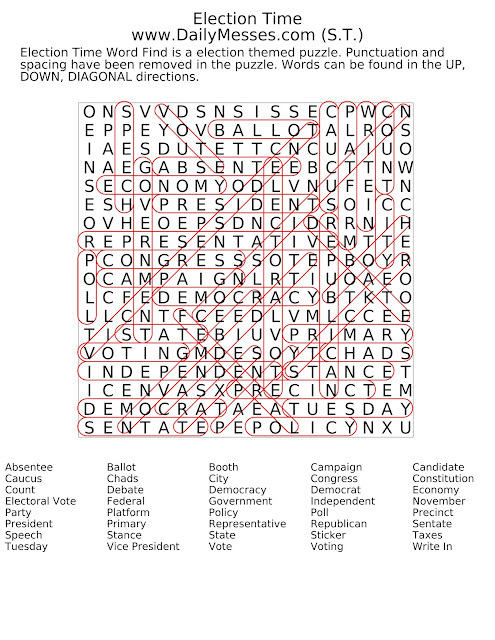 This one is more of a general word find (no candidate names). To Print: Right Click--Open image in new tab--Print or Ctrl-P. Or Right Click--Save/Save Image As/Save to Computer--Open the saved image--Print. 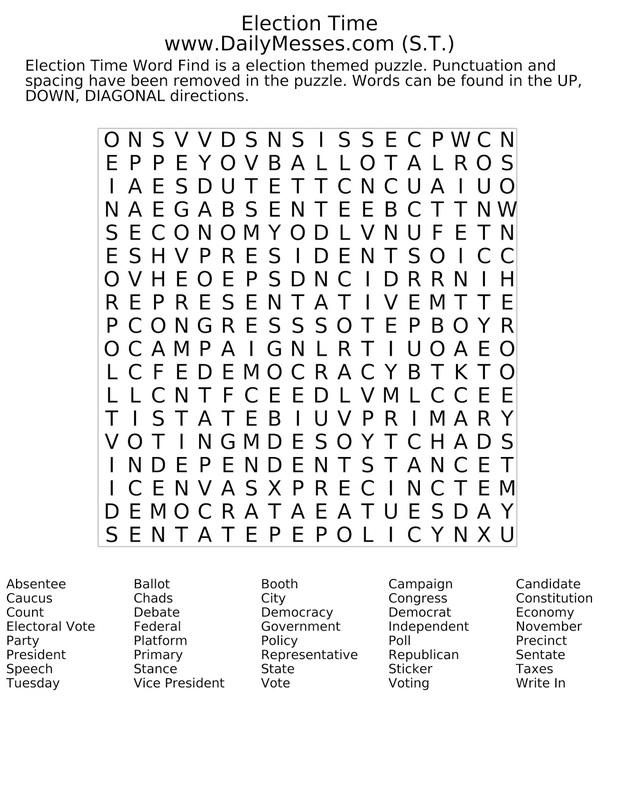 Answers are below as well.